If you’re someone who has an eye for detail, then cup tasting is for you. It’s one of the less hyped coffee competitions, but cupping is one of the most crucial skills for any green bean buyer, roaster, or barista to assess the characteristics of a coffee. It’s the way in which you strip a coffee to its bare bones and identify the complexities that lie beneath the crust. In a competition format, the objective is for the cupper to discriminate the different taste characteristics between specialty coffees. Competitors must use their eye for detail and match it with speed and accuracy. Three cups of coffee are placed in a triangle, with two cups identical and one cup different. Using skills of smell, taste, attention, and experience, the cupper will identify the odd cup in the triangle as quickly as they can. A total of eight triangles are placed in each round. The competitor with the most correct answers and the fastest time wins. Last year I scored 8/8 coffees correctly in a time of one minute and 41 seconds in the finals of the ASCA Cup Tasters Championship. 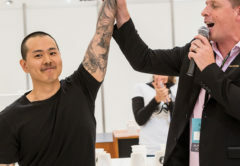 Hot on my heels was runner up Tom Bomford of Square One Coffee Roasters who scored 8/8 in one minute and 53 seconds, and two-time Cup Tasters National Champion Hyunsuk “Harry” Ko of Dukes Coffee Roasters who placed third with a score of 7/8 in one minute and 11 seconds. My score and time were enough to book my ticket to the World Cup Tasting Championship in June 2017, where I competed in the quarter finals, then semi finals, correctly guessing 6/8 cups in five minutes and 55 seconds. When I compete, I make sure I go into the event with a different mindset compared to when I do a cupping at a green bean company. Cup tasters is a more objective affair. 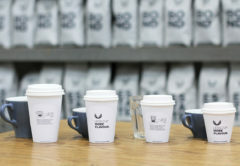 It is all about little details, small differences cup to cup, with a big emphasis on triangulation. Cupping at a roaster or green been company has a more subjective and emotional focus. Three core variables I focus on when I compete include flavour, acidity, and mouthfeel. Generally, flavour is the easier of the three to discern. During competitions this will often take place when you have to pick different origins in one given set, such as a funky wet hulled Indonesian against a vibrant washed Kenyan. 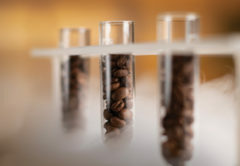 However, body and acidity are more difficult to detect, especially when you have two similar origins in the same set, such as a Guatemala and a Honduras coffee. 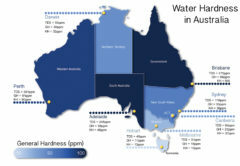 At the world level, you can even be challenged with neighbouring micro lots from the same farm or estate. Now that’s tricky. In my experience with world-level competition, the overall outcome of a winner can vary greatly on the day. There is a chance anyone can win based on pure luck. However, it is really important to keep a sound mentality. 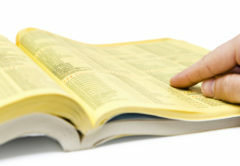 It is common to make simple mistakes when you are under pressure, or feel that you are on a good streak. In training, I try to recreate a competition setting, always laying out eight sets with three cups. I have found that brewing with a clever dripper is one of the most accurate, consistent, and repeatable ways to brew coffee. As for frequency, I generally ramp up the number of times I train two to three weeks before competition day, completing two run-throughs in the morning, and two at night. That’s a mere 96 cups of coffee to try each day. The upside of this skill is the many great people you get to meet in specialty coffee. I’m really grateful for all the support I have received from my team at Kingswood and the Australian Specialty Coffee Association. This article features in the MICE 2018 showguide: A Coffee Lover’s Guidebook.To see the FULL article, pick up your copy of the showguide at MICE. Yama (Jinwoo) Kim of Kingswood Coffee is the 2017 ASCA Australian Cup Tasters Champion and fifth place World Cup Tasting Finalist.